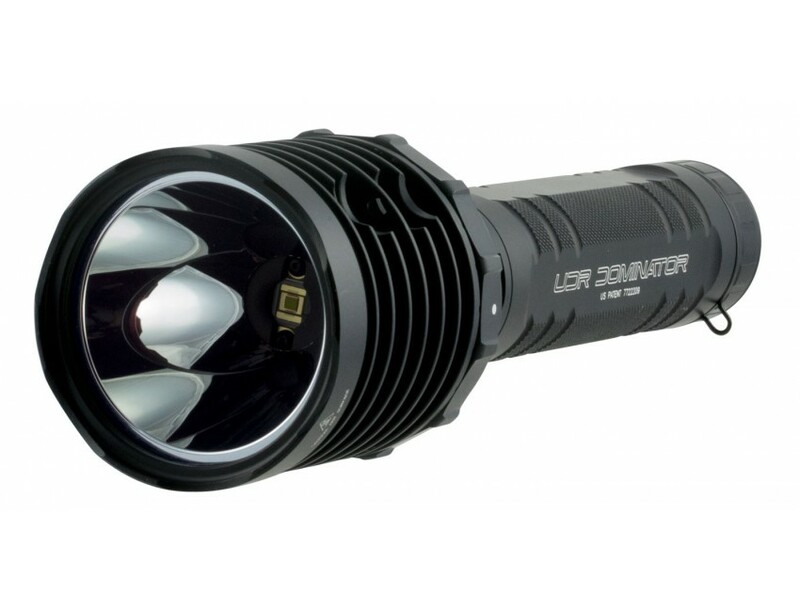 SureFire's Dominator UDR LED Ultra-High-Output Flashlight has been designed to provide military and law enforcement professionals with the tool they need. 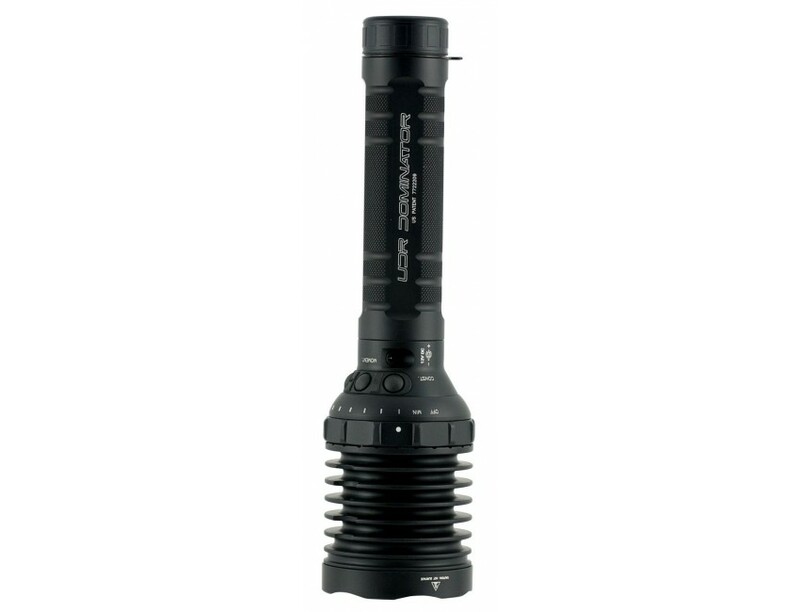 This tactical flashlight uses a 9-square LED and a large Turbo-head reflector to generate a maximum light output 2,000 Lumens with a peak beam intensity of 165,000 candela. It features three switches on the head for tactical momentary-on activation at the level set by the selector ring, momentary-on maximum output and constant-on switching at the level set by the selector ring. This SureFire flashlight has a fuel gauge that lets you know how much of a charge is left in your batteries.